The New Zealand Dollar is struggling to sustain upward momentum having recovered to the highest level in two months against its US counterpart. A choppy range has been carved out below trend-defining resistance, hinting that recent gains might be corrective within a still-valid downward trend. From here, a daily close above trend line resistance in the 0.7024-43 area opens the door for a challenge of the 38.2% Fibonacci retracement at 0.7078. Alternatively, a move back below the 23.6% level at 0.6964 paves the way for a retest of former range top resistance at 0.6911, now recast as support. 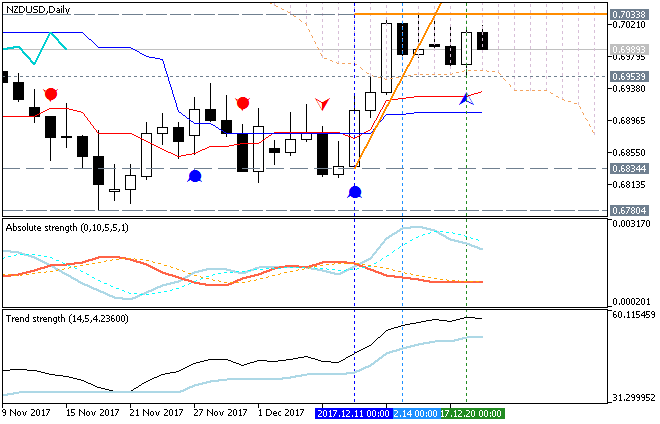 The short NZD/USD position triggered at 0.6895 was stopped out as prices soared amid a broad-based US Dollar selloff inspired by last week’s FOMC policy announcement. Re-entering the trade seems premature absent an actionable reversal signal, making the sidelines appear most attractive for the time being. The New Zealand Dollar turned lower as expected, breaking the rising trend guiding the currency higher against its US counterpart since early December. The plunge played out against a backdrop of risk aversion that gripped financial markets amid worries about a steep Fed rate hike cycle. Near-term support is now at 0.7186, the 38.2% Fibonacci retracement, with a break below that on a daily closing basis opening the door for a challenge of the 50% level at 0.7109. Alternatively, a move back above the 23.6% Fib at 0.7282 and support-turned-resistance at 0.7321 exposes 0.7434 anew. 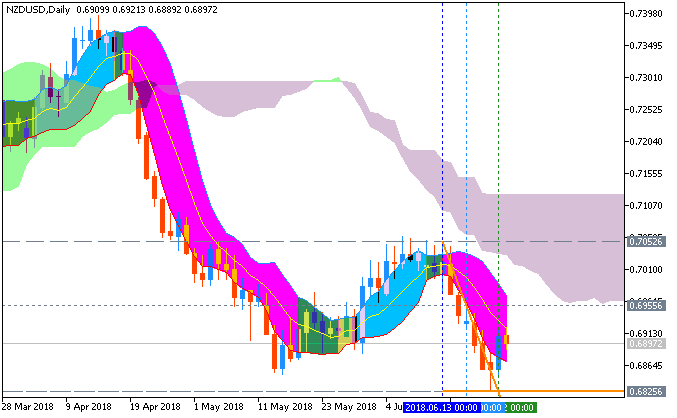 The bearish chart setup appeared to be reinforced by attractive risk/reward parameters and a short NZD/USD position was activated at 0.7275, initially targeting 0.7186. A stop-loss will be activated on a daily close above 0.7321. Partial profit will be booked and the stop-loss trailed to breakeven upon hitting the first objective. The New Zealand Dollar is attempting a cautious recovery against its US namesake but overall positioning continues to hint the path of least resistance favors the downside. The currency found interim support near the 0.72 figure but a series of lower highs and lows defining the near-term trend remains intact. An immediate upside barrier comes in at 0.7332, the 23.6% Fibonacci expansion, with a break above that on a daily closing basis opening the door for a challenge of the 0.7428-34 area (38.2% level, September 20 high). Alternatively, a move below the 38.2% Fib retracement exposes the 50% threshold at 0.7109. 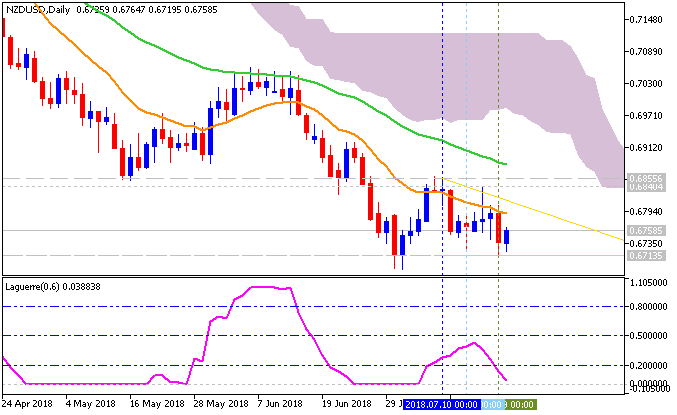 The New Zealand Dollar rebounded against its US counterpart after meeting chart support but the dominant trajectory continues to favor weakness. 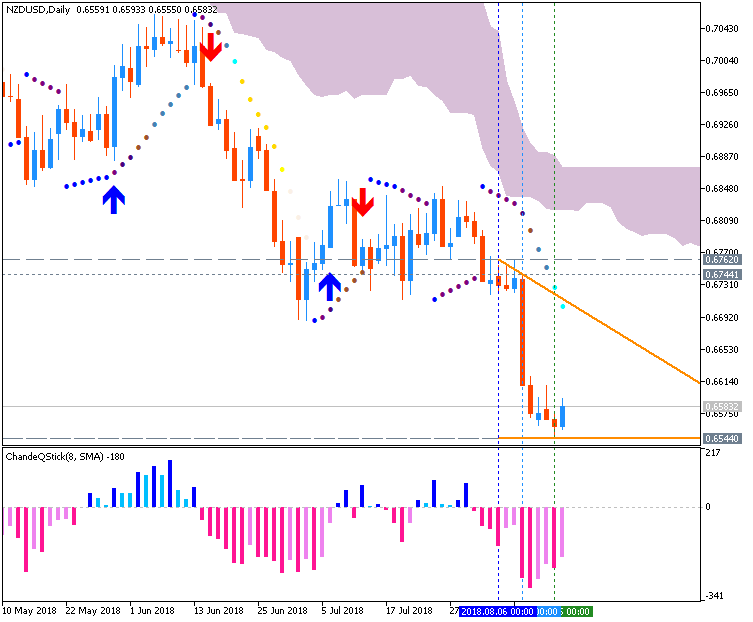 The currency pair has been drifting downward in a choppy channel since establishing a double top above the 0.74 figure. That trend remains intact for now. From here, a daily close above resistance marked by a chart inflection point at 0.7260 targets the 0.7355-63 area (March 13 high, channel top). Alternatively, a break of the 38.2% Fibonacci expansion at 0.7140 would also pierce the channel floor, marking down trend acceleration and exposing the 50% level at 0.7048. 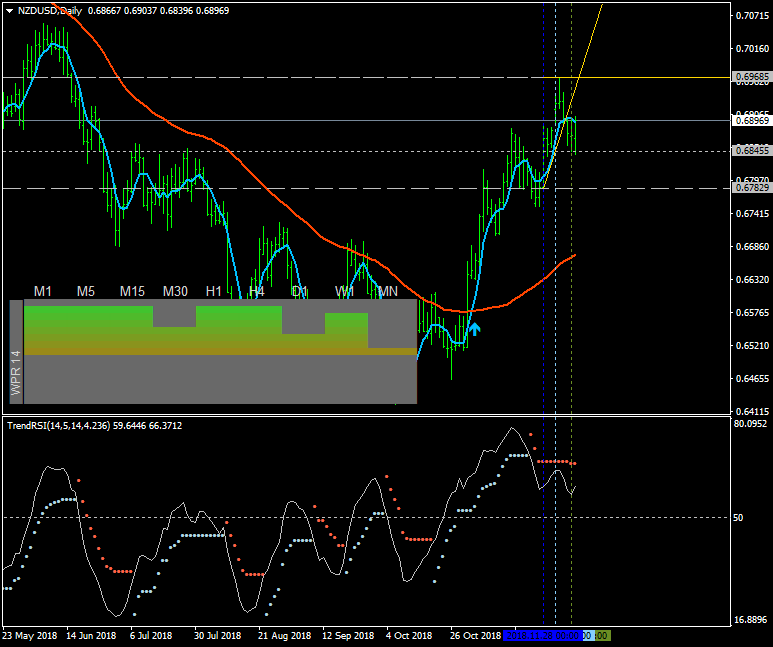 A short NZD/USD position was activated at 0.7320. Its initial target at 0.7186 has been hit and profit was booked on half of open exposure. The remainder of the trade continues to be in play to capture any follow-on weakness. A stop-loss will be triggered on a discretionary basis if the boundaries of the overall down trend appear to have been breached. You will note that the Morning Star bullish reversal pattern formed back in late-May failed to generate much follow-through and the downtrend since mid-April appears to be trying to resume course. Though at this point, we still do not have a weekly close below the March 2009 line. Instead, Kiwi Dollar tested horizontal support from May 2017. Looking at the daily chart gives us a better picture of what has been going on around those key support areas. Now, another morning star has formed and warrants close attention as this could mean the pair may turn higher in the near-term. In fact, prices were unable to close below the May 16th low at 0.6852 and they stalled just above 0.6818 at one point. All of this points to very stubborn and well-established floors that the pair will have to fall through before we can confirm that NZD/USD is heading for a lasting continuation of its downturn from mid-April. Nevertheless, a break below support (which is closely aligned with the 50% Fibonacci extension at 0.6788) opens the door to test the 61.8% level at 0.6723. At that point, we are looking at 2016 lows. The New Zealand remains locked in a well-defined down trend against its US counterpart despite over two weeks of sideways consolidation. Price action has been marked by a clear-cut series of lower highs and lowssince a reversal from triple top resistance in mid-April. From here, a daily close below support in the 0.6688-0.6726 area opens the door for a challenge of the 38.2% Fibonacci expansion at 0.6589. Alternatively, a reversal above 0.6851 - support-turned-resistance reinforced by a falling trend line - paves the way for a test of the 38.2% Fib retracement at 0.6959. Prices are too close to immediate support to justify establishing a short position from a risk/reward perspective. Alternatively, taking up the long side even tactically seems ill-advised absent a viable bullish reversal signal. With that in mind, opting for the sidelines is probably most prudent for now. The New Zealand Dollar may have scope for a corrective recovery before resuming the four-month down trend against its US counterpart. Downside momentum has stalled after prices plunged to the lowest level in close to three years, undone by the combination of a dovish RBNZ and global risk aversion. As it stands, near-term support is marked by the 50% Fibonacci expansion at 0.6505. A daily close below that exposes the 61.8% level at 0.6422. Alternatively, a turn back above the 38.2% Fib at 0.6589 paves the way for a test of the 0.6688-0.6738 zone (former range floor support, falling trend resistance). The New Zealand Dollar may be on the verge of resuming the down trend against its US counterpart. The appearance of a bearish Evening Star candlestick pattern coupled with negative RSI divergence signaled possible topping. Confirmation followed with a break of counter-trend line support. From here, the next layer of major support looks to be in the 0.6686-0.6716 area. A break below that confirmed on a daily closing basis exposes former support in the 0.6592-0.6619 zone. 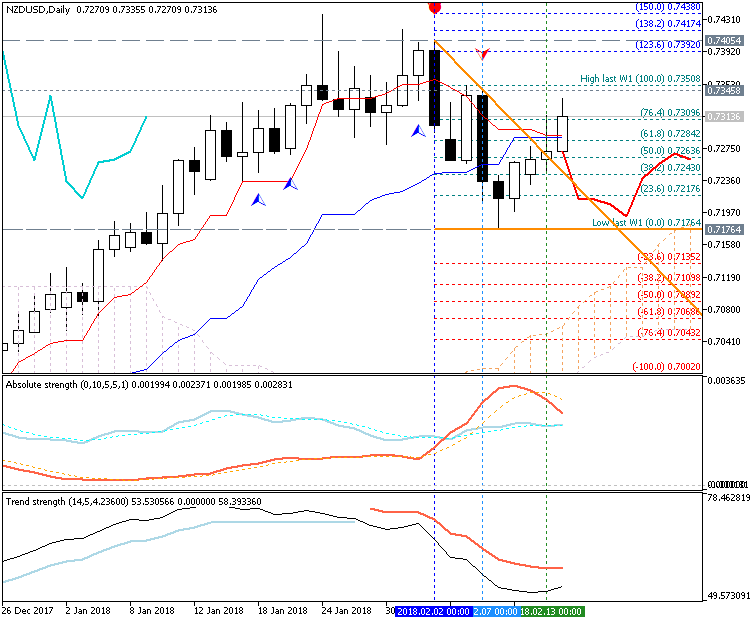 Resistance is at 0.6969, the December 4 high, followed by the June 6 peak at 0.7060. NZDUSD has consistently traded lower in recent weeks and now trades below resistance from the trendline originating on December 4th. 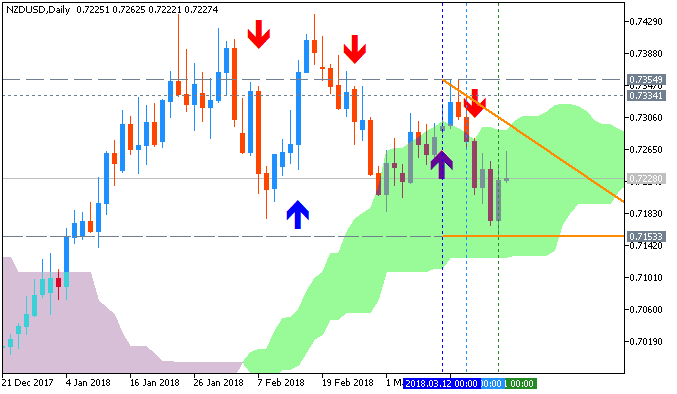 The head and shoulders pattern sent the pair lower and after a strong Friday performance, the Kiwi looks poised to test the trendline next week. A failed test would serve as strong confirmation for a sustained move lower and continuation of the recent trend. Another price point to watch in the week ahead includes 0.6700, a round number that has provided moderate support and resistance in the past six months. Coupled with nearby resistance from the December 4th trendline, a break below 0.6700 could serve to drive the pair lower in earnest.